…Every time you spill something, shift a heavy sofa, or drag in the dirt or grime from your running shoes, the hardwood finish gets damaged. It gets worse when you have children around; they can make a real mess of any wood floor. As tough as hardwood floors are, they are no match for a hyperactive child, or an inquisitive pet dog. ….The damage to the finish isn’t necessarily permanent. Just call the local hardwood refinishing and restoration expert. They would know exactly what to do. There are things you need to know before sanding and refinishing hardwood floors. Let’s see what they are. The refinish costs about $3 to $7 per sq. foot. So if you’re refinishing a 1,000 sq. foot floor that would cost you $3,000 to $7,000. It’s difficult to go into the exact details here without an inspection of your property. Call your local Illinois hardwood flooring specialist, Big Bro Hardwood at (630) 418 4139 for a free estimate. #2: You may have to vacate the premises. You may have to move out and find another place to stay while the hardwood restoration project is going on. You cannot walk on the finish when it is still wet. Generally the hardwood sanding takes a couple of days. But it takes a few days more for the stains and the coats of finish to completely dry up. The sanding and refinishing could together take about 7 days. Parquet floors are a traditional hardwood flooring option which has undergone a major revival in recent years. Parquet floors are made from small pieces of hardwood put together in different geometric patterns. The thing about parquet floors is that they can retain their spark and luster for about 10 to 15 years at best. Following that, they start getting duller and duller, especially in the busy areas that see a lot of traffic. Refinishing Parquet floors is a task best left to your local hardwood flooring expert. It involves sanding the wood and removing the old finish without affecting the surface and is certainly not easy. #4: Consider the color of the floor. The floor will have a lighter color after the sanding and refinishing is completed. The floors are screened and polyed during the process and the stain is removed. If you want the original color to be restored, then the floor will need to be stained again. You can choose the same color or a different color for the hardwood such as gray, dark brown or white. The only issue with that is adding the stain will increase the cost of the project by 30 to 45 percent. There are two types of hardwood refinishing – full refinishing and screen and poly jobs. A screen and poly job makes for a better choice if the finish hasn’t been worn completely and if the floor isn’t badly damaged and pegged with deep gnashes or gouges. A full refinish isn’t needed in this case; all you need to do is to add a maintenance coat. A full refinish is a must if the floor is badly damaged or worn out after years of use. It can transform your hardwood flooring completely. This can cost twice as much as a screen and poly job, but is well worth it. #6: Hire the right hardwood flooring service. The importance of hiring the right hardwood restoration professional cannot be stressed enough. You want someone who is experienced and knows what they are doing. What you don’t want – an inexperienced contractor who is still learning on the job. At Big Bro Hardwood Co, we have years of experience in hardwood sanding, refinishing, repair, staining and more. We undertake hardwood restoration projects at homes and workplaces across Illinois and cover everything from installation and repair to restoration and maintenance of the flooring. We do everything possible to restore your hardwood flooring to its original condition. First, we carry out a detailed Hardwood Floor Audit and offer a FREE estimate. #1: We and inspect and evaluate the floors and assess the damages. We look at the areas that have been damaged from scratches and gouges, by pet urine, spills and so on. The sanding process gives a very good idea of the areas that have been badly damaged and require a full refinish. #2: Next, we discuss the various finishing options with you, such as a full refinish and screen and poly jobs. We tell you about the pluses and minuses of each system and give you a rough estimate of their costs. #3: Following your approval, we carry out a detailed inspection of the electrical system. We will take a good hard look at your plug-ins and fuse boxes. This is important because if you don’t have a proper power supply, we cannot get our tools to work, and it won’t be safe for us. #4: If you have any questions for us, this is the time to ask them. We clear your doubts and go through the entire project with you so that you know exactly what to expect. We go ahead with the project only after getting your 100% approval. #5: We then measure the floors and calculate the exact square footage. The measurements are done to precision; there is no approximation or rounding up of numbers. #6: Only after this we prepare a detailed written estimate of the cost of the hardwood sanding and refinishing. This document will have all the details such as the cost of the carpet removal, sanding, staining, repair, refinishing, any work done on the stairs, and so on. Everything related to the sanding and refinishing of the hardwood flooring is clearly outlined, with details on the scheduling, guarantees, and more. 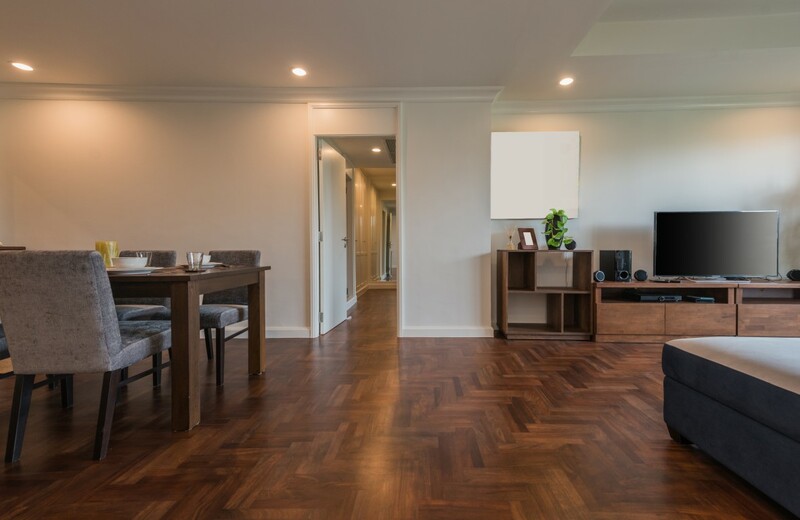 Big Bro Hardwood is a leading provider of hardwood refinishing, refinishing parquet floors, sanding, repairs, staining and restoration services in Willowbrook IL and surrounding areas. Fill up this contact form or call us at (630) 418 4139 for a free estimate.